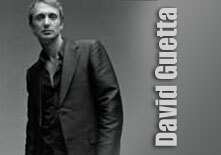 David Guetta, widely considered the pioneer of French house, was born in Paris on November 7, 1967. He made a name for himself through his gigs at Paris’ renowned hotspots like ‘Queen’, ‘Bataclan’, ‘Palace’, and ‘Folies’. He was a key catalyst of the dance music scene in Paris often working with DJ legends including David Morales and DJ Pierre. His ‘Up & Way’, released in 1992 with garage-style tracks and strong vocals by Robert Owens was his first shot to fame. His first album with the hit single ‘Just a Little More Love’ was released by Virgin in June 2002 and went on to sell a mind-boggling 250,000 copies worldwide! His electro-funk-house cocktail was here to stay as the second single ‘Love Don’t Let Me Go’, met with the same unprecedented success. David initially started off playing at gay clubs around Paris during the mid 80s, exploring hip-hop and acid house. His initial brush with international fame came with ‘F*** Me I am Famous’ an Ibiza DJ Mix with remixes of David Bowie’s Heroes, which in fact went gold. His second album ‘Guetta Blaster’ contains the gospel sounds of Chris Willis and the guest vocals of JD Davis, James Perry, and Britain’s Stereo MC, making it a spectacular coming together of musical geniuses. Traveling all over the world, David is a hit with frenzied crowds with his infectious energy and ability to produce spectacular sounds. David is a resident DJ at ‘The Cross’ in London and Barcelona’s ‘Discoteca’, apart from ‘Broad’ in Paris. TranceElements, the Best Trance Music online. Don't forget to listen in on our Trance Party Internet Radio Station. Send DJ Demos & DJ Promotion CDs - Or drop us a line Snail mail Style.